We are a well-known trader, supplier and exporter of a broad range of Hydax - Gear Couplings. Authorised Dealers of HYDAX. Our products are known for their features such as corrosion resistance, minimum maintenance, durability, easy installation, perfect finish and dimensional accuracy. These couplings comprise two metal gear hubs engaging in a sleeve of supreme quality plastic material. We offer these in models like HYDAX 19, HYDAX 28, HYDAX 38, HYDAX 48 and HYDAX 65. Flexible drive couplings, gauge isolater valves (Single and multistation) These products are used in hydraulic equipment and in transmission areas. We hold specialization in offering a wide range of Hydax Gear Couplings to the clients. Our products are available in different specifications in the worldwide market. These products are used in engineering related industries. We provide a high quality of Hydax Coupling. 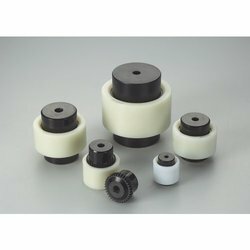 Looking for Hydax - Gear Couplings ?